Eclectus Personality, Food & Care – Pet Birds by Lafeber Co.
Eclectus parrots look like they are straight out of a Dr. Seuss book! Their feathers have a fur-like appearance and their colors are bright red for females, and bright green with a ‘candy corn’ colored beak for males. Aside from their mesmerizing appearance, these parrots can also be great companions. Eclectus parrots come in a variety of sub-species, including the Grand Eclectus, the Vosmaeri, and the Solomon Island Eclectus (Eclectus roratus solomonensis) which is the most commonly found Eclectus in captivity. Originating in the Solomon Islands, this bird is prized for its stunning appearance and great pet quality. A little harder to find than some of the other parrots of this size, the Solomon is easily recognizable once you do find one — you can’t miss an Eclectus! Their feathers do not have a distinct outline like the feathers of other birds; Eclectus parrots look as if they are covered with a fine fur, and along with their day-glow colors, the effect is astounding. Eclectus are dimorphic, meaning that there are visual distinctions between the sexes. Males are a bright green and have a horn-colored beak, with a splash of bright blue on the wing and a bright red underwing. The females are a stunning red with a deep violet belly and a black beak. In fact, because of these differences, these birds were not bred successfully for many years because breeders were putting males with males and hens with hens! It wasn’t until a couple of decades ago that someone realized that the green birds were male and the red birds were female. Eclectus parrots are native to the Solomon Islands, Indonesia, New Guinea, northeastern Australia and the Moluccas. Their wild diet is comprised mainly of fruits, such as pomegranate and papaya, as well as figs, flowers, leaf buds and some seed. Eclectus parrots are very active and need a spacious cage and plenty of out-of-cage time to interact with you. Be sure to buy the largest cage that your home and budget can afford — these birds can become restless and unhappy when confined. Playful by nature, an Eclectus parrot will need a multitude of toys designed to be chewed and destroyed, such as those made of soft wood. Be sure that your Eclectus gets plenty of attention and activity. Eclectus can keep themselves busy, but need you to offer the stimulating objects to give them “jobs” to do. Ecelctus parrots have a longer digestive tract than other bird species, and some aviculturists believe that because of this, they especially need a low-fat, high-fiber diet that is not overly fortified with vitamins and minerals. This can help avoid fatty tumors from developing, as well as to prevent vitamin and mineral toxicities. Eclectus parrots generally benefit from more fruit and vegetables (especially those higher in Vitamin A) in their diet, as well as pelleted food. Many Eclectus enthusiasts recommend feeding pellets that are free of artificial colors/dyes. Lafeber foods offer a variety of nutritious daily diets, including Nutri-Berries, Avi-Cakes, and Premium Daily Diet. Eclectus parrots are intelligent, gentle birds that become welcome members of the family due to their tranquil nature. They are pretty good with children, though they will not tolerate frantic activity or constant disturbing noise. It will be important to teach children how to behave around the bird, rather than the other way around. Female Eclectus parrots — even those kept as single pets — have strong nesting instincts and might be inclined to seek out nest sites in dark and enclosed areas around the home, such as in cupboards and underneath furniture. Females can be quite territorial, especially during breeding season. If you keep a male and female pair, the female will likely be the bossier of the two. Eclectus parrots generally are not prone to excessive noisiness. They can be quite vocal, and are capable of developing an extensive vocabulary. Eclectus have been known to exhibit episodes of toe-tapping and wing-flipping-type muscle spasms, which is thought to be related to vitamin and mineral imbalances. Talk to your avian veterinarian about the types of foods to feed your Eclectus parrot, as well as which foods to avoid. Eclectus parrots might be more prone to feather picking (pulling out their feathers) compared to other parrots, which can be tied to medical issues and/or behavior issues. 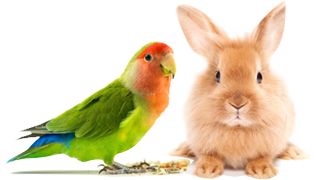 If yours begins to pick at its feathers, take your bird in to your avian veterinarian for a full medical workup. Eclectus parrots are also susceptible to avian polyomavirus, hypovitaminosis A and psittacine beak and feather disease (PBFD). Eclectus are more likely to be found in avian specialty shops, as well as from bird breeders. Be careful that you are not buying a hybrid Eclectus; some unscrupulous breeders breed different sub-species of Eclectus together, resulting in a “mutt” Eclectus. This will not in any way affect the pet quality of your bird, but should you ever want to enter your bird in a breeding program, its mixed-genes could potentially contaminate the species. Though this may seem harmless, it is important that the gene pool of these birds remain pure, because someday the only Eclectus in the world may be in captivity, and bird breeders will be responsible for the continuation of the species.